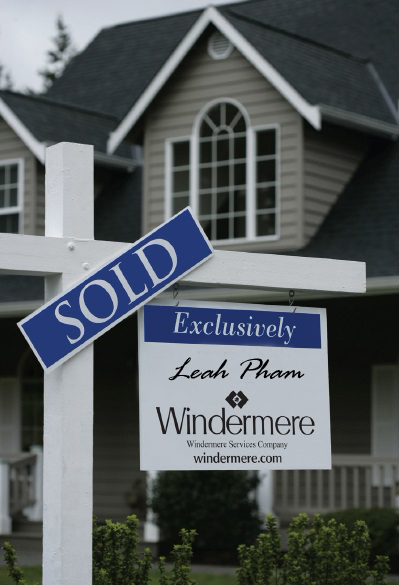 Buyer demand remains high resulting in aggressive multiple offers on well priced homes. An increase in builder confidence equals an increase in job opportunities and revenue. Investors have re-entered the market with the intent to fulfill the growing necessity for rental properties over the next handful of years. Sellers who have been contemplating a move are recognizing the backlog of demand for inventory is high thus making it a great time to maximize return on investment. New loan programs designed to help first time home buyers are emerging. Low debt, strong income and good credit scores are yielding pre-approvals that lead to closings. All in all, it’s a great time to live, work and invest in the Pacific Northwest! A diverse, close-knit neighborhood with blue collar roots, Top Hat offers affordable houses, some with great views, less than 20 minutes south of downtown Seattle. “Rolling south up to the crest of Myers Way, to the left is a sweeping view of the Cascades, to the right is Top Hat. Literally, there’s a giant top hat — or, a sculpture of one perched on the roof of a building that’s home to Warner Transmission. Decades ago, when the repair shop was a gas station (and not far from the famous gas station in Georgetown with its large cowboy hat and boots on top) the hat on the hill rose to prominence as a landmark until “Top Hat” became synonymous with the entire neighborhood, some longtime residents said. But it was a place where you were more likely to see blue collars than black tuxedos. “This has always been a working-class neighborhood,” said Pat Kinsella, 78, a retired sheet-metal worker who has lived in Top Hat for 65 years. “People worked at Boeing, they worked at the steel mills, they worked at the shipyards. They were cops, electricians, plumbers. They all had good union jobs,” Kinsella said. This graph depicts inventory levels: active listed properties, and Sold for each month. This graph depicts average market time (yellow) and the Sold price as divided by Listing price to arrive at a percentage of the sold price as compared to the listing price. For example if a property was listed at $100,000 but sold for $90,000 then it’s Sold/List Price % would be 90%. Effectively shows what “discount” homes are selling for.